It's alive! alive!... AOS4 version ! Yes, we did it! 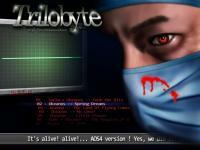 Nuance resurrected its ultimate ChipDisk collector: TRILOBYTE !! See you in the next issue of Trilobyte. ... .. .